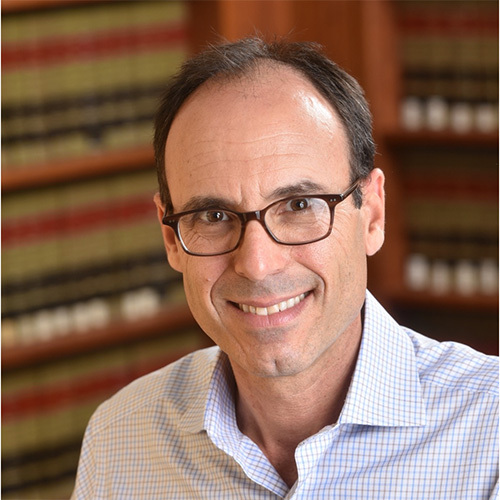 Professor Adam Winkler is a specialist in American constitutional law and the Supreme Court. His book We the Corporations: How American Businesses Won Their Civil Rights (2018), received the Scribes Award for the best work of legal scholarship in 2018 and was named a finalist for the National Book Award, the National Book Critics Circle Award, the American Bar Association's Legal Gavel Award, and the California Book Award. He is also the author of Gunfight: The Battle over the Right to Bear Arms in America (2011). His scholarship has been cited in landmark Supreme Court cases on the First and Second Amendments, and according to a 2016 study he is one of the twenty most cited active law professors in judicial opinions. His popular writing has appeared in the New York Times, New York Review of Books, Wall Street Journal, Washington Post, Los Angeles Times, New Republic, Atlantic, Slate, Scotusblog, and Daily Beast. He is a frequent commentator about legal issues and has appeared on Face the Nation, CNN, NBC Nightly News, C-SPAN, Newshour, ABC News, All Things Considered, Morning Edition, and Marketplace. He also served as co-editor of the Encyclopedia of the American Constitution (2d Edition). The son of Academy Award-winning filmmaker Irwin Winkler, Adam was born and raised in Los Angeles. He is a graduate of the School of Foreign Service at Georgetown University and New York University School of Law, which honored him with the Legal Teaching Award for outstanding alumni in legal academia. He also earned a master’s degree in political science (American Political Development) from UCLA under Professor Karen Orren. He clerked for David Thompson of the United States Court of Appeals for the Ninth Circuit and practiced law at Katten Muchin in Los Angeles, where he was on a litigation team that represented the late Michael Jackson in a highly publicized child-molestation case. This was more than enough to convince him to return to the ivory tower. Prior to joining the UCLA faculty in 2002, Adam was the John M. Olin Fellow at the University of Southern California Law School’s Center in Law, Economics and Organization. He serves on the board of directors of the Brennan Center for Justice and the American Constitution Society. According to Vox.com, "It is deeply shocking that We the Corporations is not boring." Supreme Court Justice Stephen Breyer said, "It's a good book." See a synopsis, reviews and upcoming events for We the Corporations.